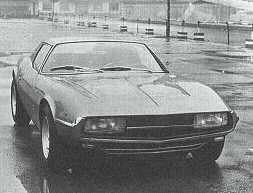 The LMX Sirex 2300 had a Fiberglass body, designed by Eurostyle of Turin, used a forked biased backbone chassis, Ford Zodiac MkIV suspension and disk brakes, and a Ford Taunus 2.3 liter V6 engine in various states of tune, up to a turbocharged 210 bhp version. 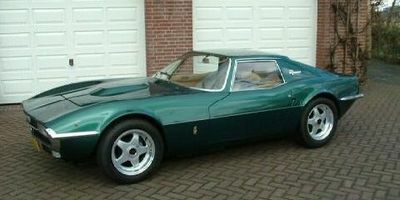 The fiberglass-bodied Sirex was first shown at the 1968 Turin show in fastback form, then in convertible form at the Geneva show. Particularly notable is the rear glass panel of the fastback body which serves as the hatchback. Apparently this is about as big of a single glass pane you'll ever find from this era attached to a hinged joint on a fiberglass body. This car had a very low production number of only 43. The two versions, a coupe was built in production from 1969-1974, the only convertible was the Geneva concept. The convertible was configured such that the full fiberglass top could be stored behind the seats.